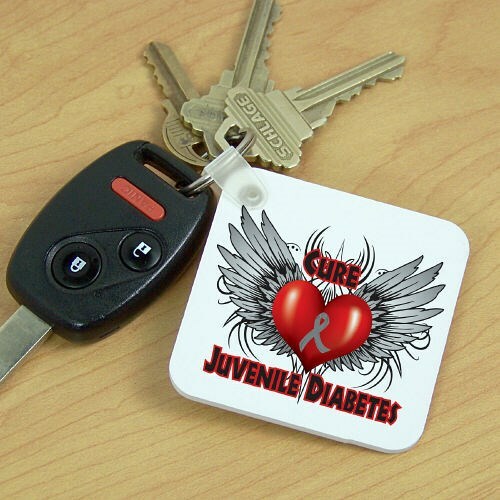 Our Juvenile Diabetes Awareness Key Chain is perfect for spreading awareness. Our Personalized Key Chain measures 2¼" x 2¼" and is a ¼" thick. Each Key Chain is made of plastic and includes a key ring.